On Friday, we presented Delegate Todd Gilbert (R-15, Woodstock) with The Family Foundation’s 2013 Legislator of the Year award. The presentation was made at the Valley Family Forum’s annual dinner in Harrisonburg. This year, Delegate Gilbert was the House patron for one of our most consequential legislative priorities, legislation that protects the freedom of association and freedom of religion rights of student groups on public college campuses. This followed his leadership last year on legislation that protects the rights of faith-based child placement agencies to operate according to their religious beliefs. Both bills protecting our liberty have become models for the rest of the nation. “I was surprised and honored to be named The Family Foundation’s Legislator of the Year. The Family Foundation and I have teamed up in the last few years to do some amazing work protecting religious liberty and traditional moral values, and together we have accomplished some great things for Virginia,” Delegate Gilbert stated. Delegate Gilbert’s solid pro-life, pro-family voting record is complemented only by his leadership in his caucus, in committee, and on the floor of the House, where he is more than willing to stand, no doubt much to the chagrin of some around him, to defend life, marriage and religious liberty, and to take on those legislators who seek to undermine our values and principles. Delegate Gilbert’s leadership has made him the target of the secular left, and in particular Equality Virginia. The state’s largest homosexual organization has targeted Delegate Gilbert because of his strong stance on religious liberty and his opposition to adding protection for sexual behavior to the state’s non-discrimination law. In an environment of hostility, where the very phrase ‘social issues’ or ‘values issues’ causes some of our elected officials to reflexively run for cover, the media hysteria over anything pro-life or pro-family, and the secular left’s endless rhetorical assault on conservative legislators, plus a clear cultural shift away from Godly principles and a too often silent church, few legislators are willing to lead like Delegate Gilbert. It is always an honor to present an award to legislators of conviction who put principle before politics to advance our shared values. 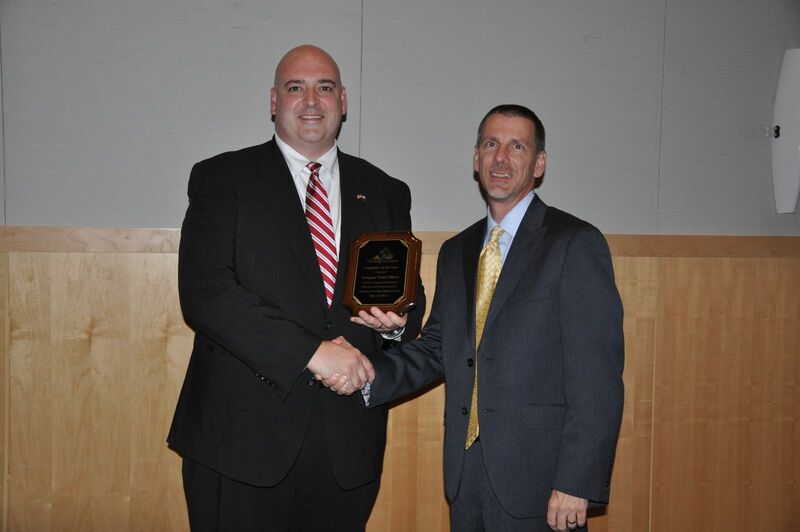 Congratulations to Delegate Gilbert for winning this year’s Legislator of the Year award. We look forward to continuing to work with him on protecting and advancing our values!